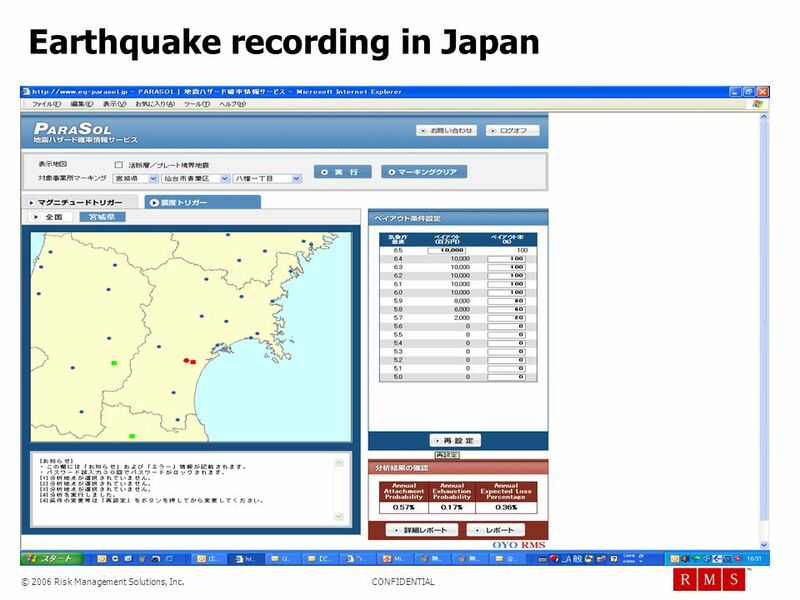 Launched Feb 2007 to provide participating governments with immediate liquidity if hit by a hurricane or earthquake. 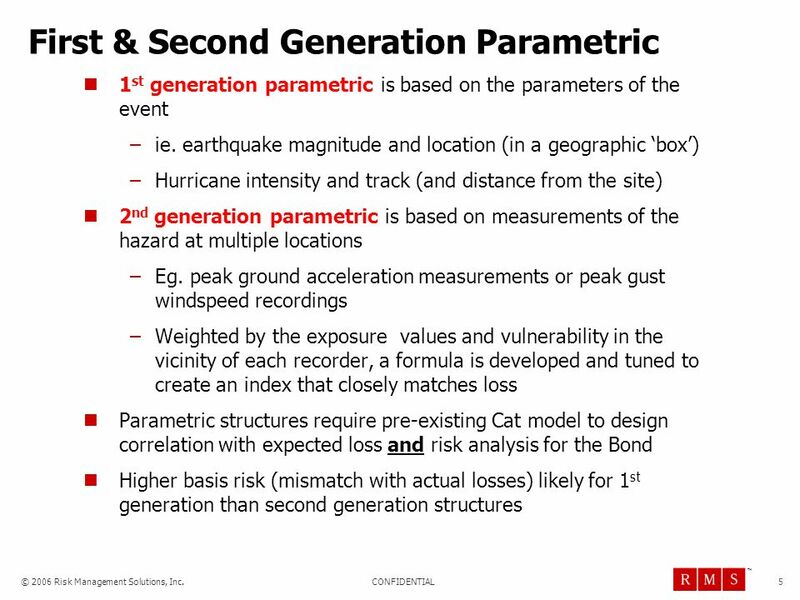 For hurricane - trigger based on ‘calculated’ windspeeds at key exposure concentrations Derived using predefined Rmax of a hurricane However real radius can vary by factor of 10 For earthquake based on magnitude in a box not ground motion on an island For a small island – there is the potential for no payout when significant loss as well as payout when there is no loss 2nd generation parametric not used in the Caribbean (in 2007) because of lack of suitable pre-existing windspeed and ground motion instrumentation networks. 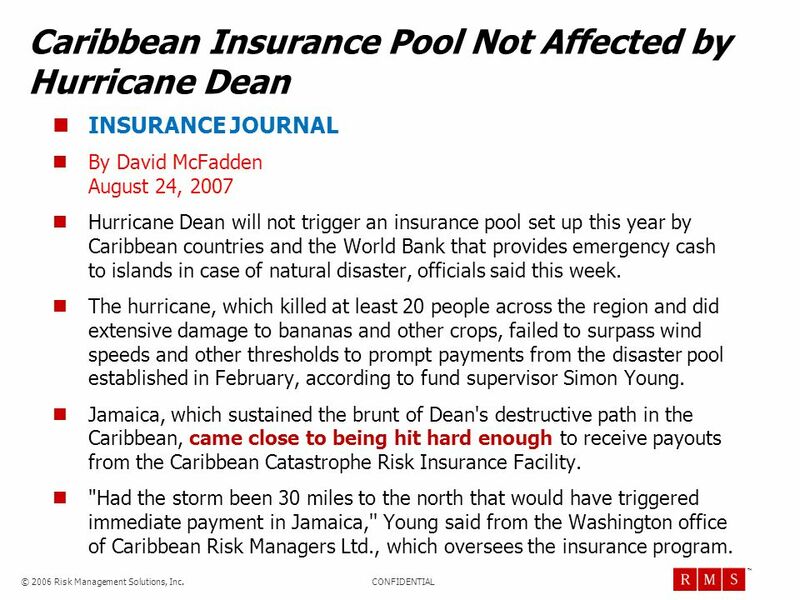 INSURANCE JOURNAL By David McFadden August 24, 2007 Hurricane Dean will not trigger an insurance pool set up this year by Caribbean countries and the World Bank that provides emergency cash to islands in case of natural disaster, officials said this week. 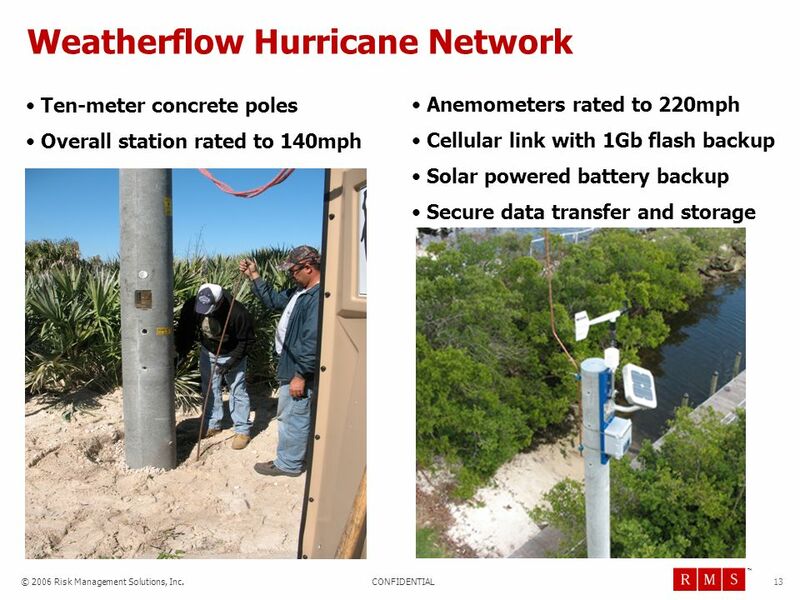 The hurricane, which killed at least 20 people across the region and did extensive damage to bananas and other crops, failed to surpass wind speeds and other thresholds to prompt payments from the disaster pool established in February, according to fund supervisor Simon Young. 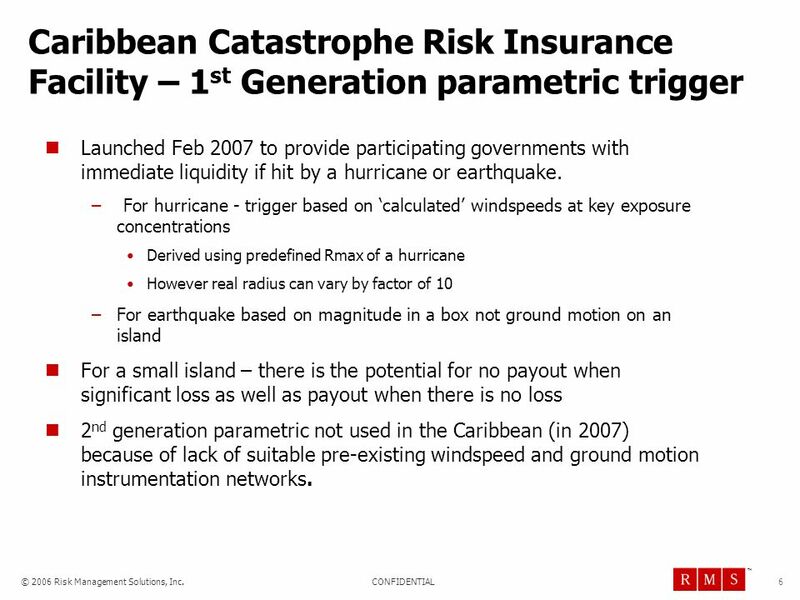 Jamaica, which sustained the brunt of Dean's destructive path in the Caribbean, came close to being hit hard enough to receive payouts from the Caribbean Catastrophe Risk Insurance Facility. 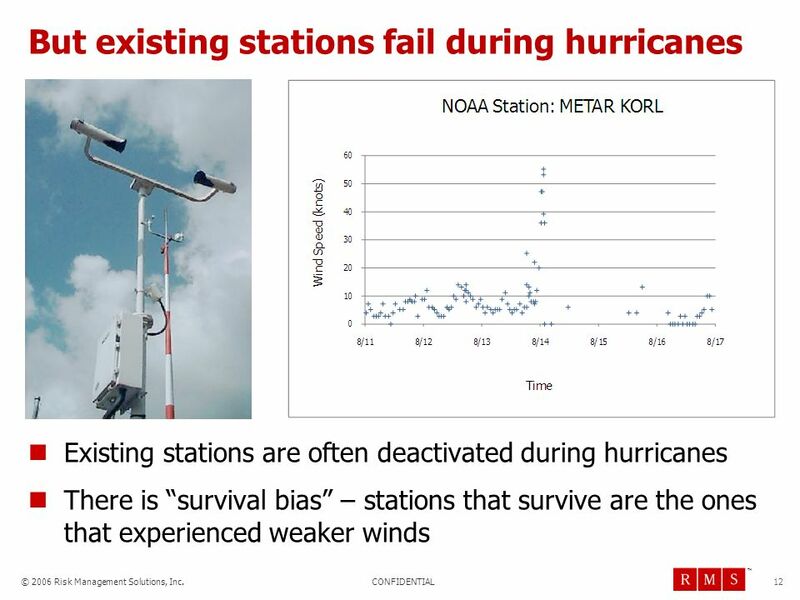 "Had the storm been 30 miles to the north that would have triggered immediate payment in Jamaica,'' Young said from the Washington office of Caribbean Risk Managers Ltd., which oversees the insurance program. 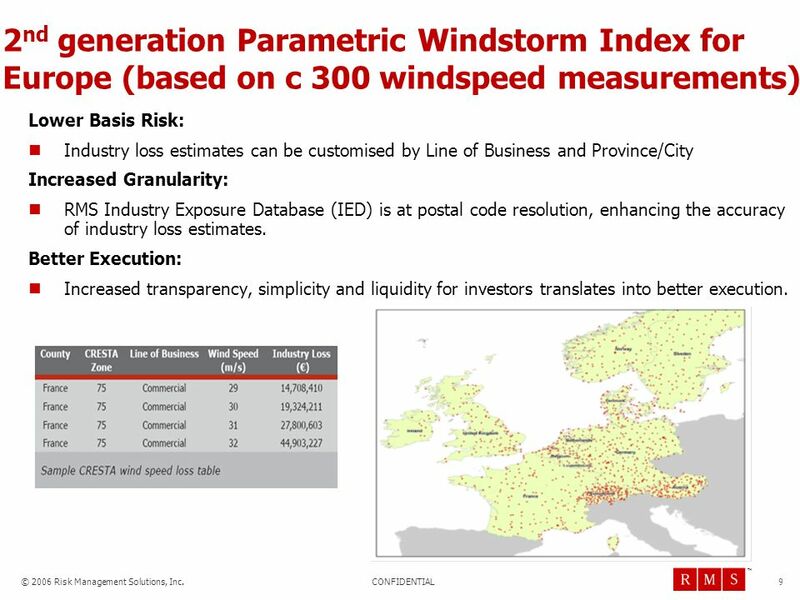 Lower Basis Risk: Industry loss estimates can be customised by Line of Business and Province/City Increased Granularity: RMS Industry Exposure Database (IED) is at postal code resolution, enhancing the accuracy of industry loss estimates. 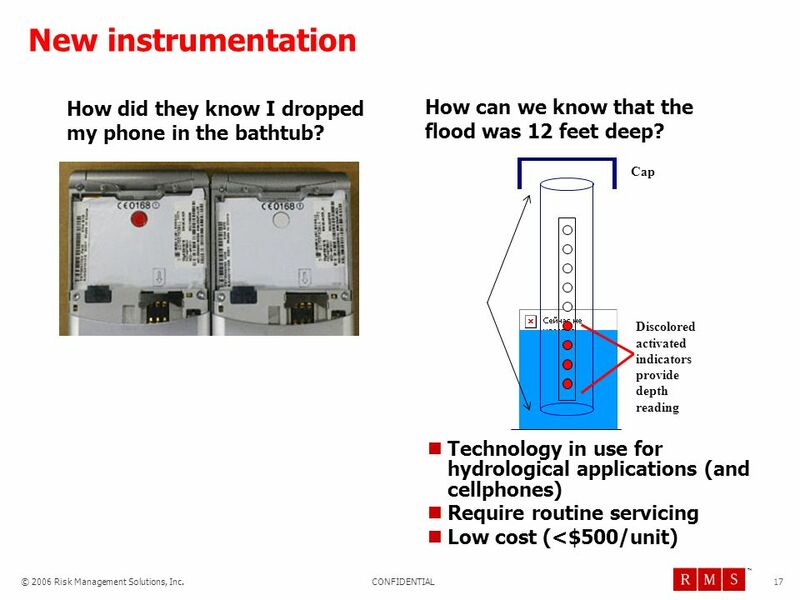 Better Execution: Increased transparency, simplicity and liquidity for investors translates into better execution. 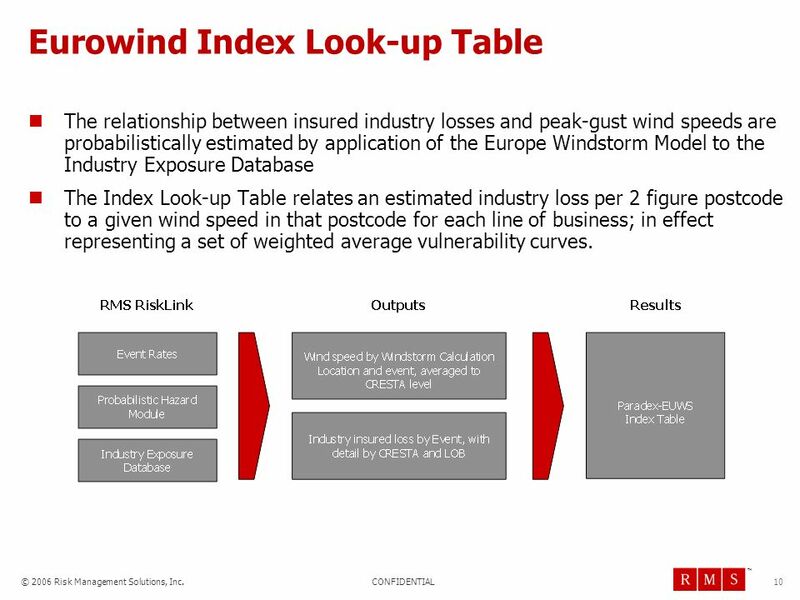 The relationship between insured industry losses and peak-gust wind speeds are probabilistically estimated by application of the Europe Windstorm Model to the Industry Exposure Database The Index Look-up Table relates an estimated industry loss per 2 figure postcode to a given wind speed in that postcode for each line of business; in effect representing a set of weighted average vulnerability curves. 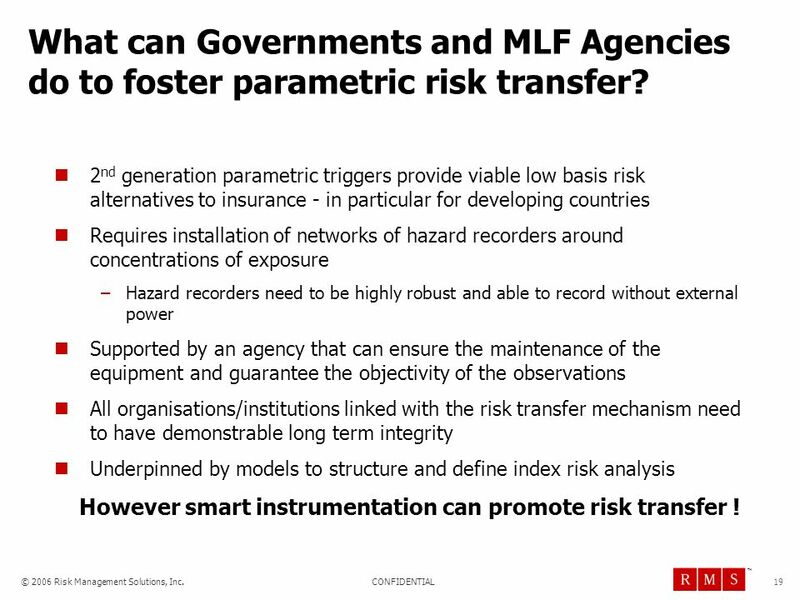 19 What can Governments and MLF Agencies do to foster parametric risk transfer? 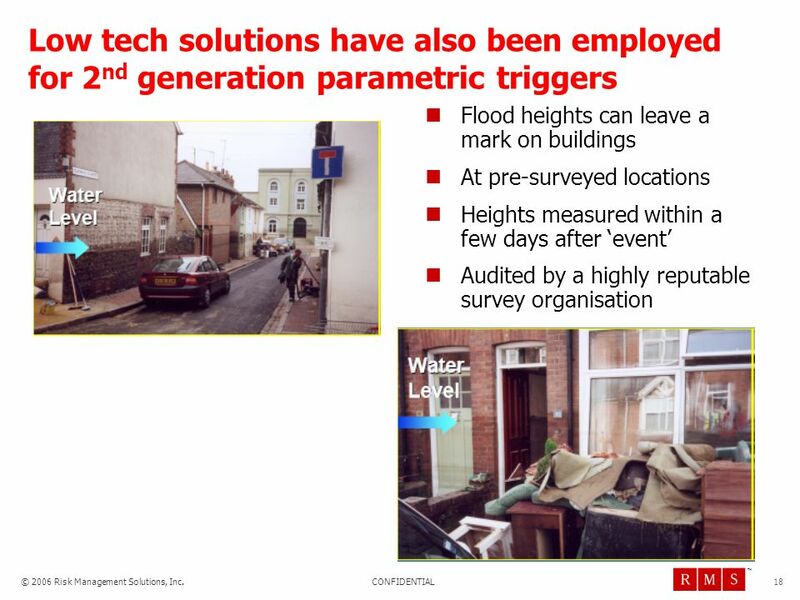 2nd generation parametric triggers provide viable low basis risk alternatives to insurance - in particular for developing countries Requires installation of networks of hazard recorders around concentrations of exposure Hazard recorders need to be highly robust and able to record without external power Supported by an agency that can ensure the maintenance of the equipment and guarantee the objectivity of the observations All organisations/institutions linked with the risk transfer mechanism need to have demonstrable long term integrity Underpinned by models to structure and define index risk analysis However smart instrumentation can promote risk transfer ! 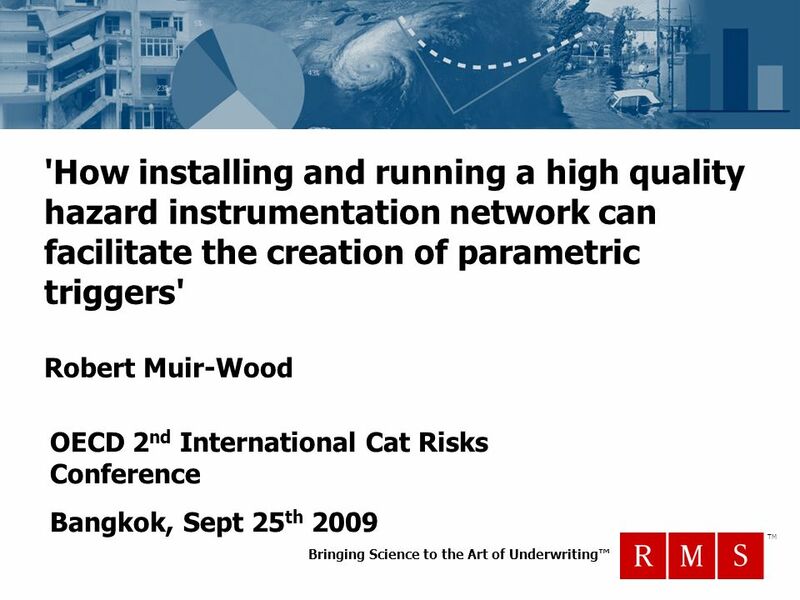 Download ppt "OECD 2nd International Cat Risks Conference Bangkok, Sept 25th 2009"
Pre-Disaster Mitigation (PDM) Flood Mitigation Assistance (FMA) Repetitive Flood Claims (RFC) Severe Repetitive Loss (SRL) D. Casey Levy State Hazard. Digital Animation & Economic Development. Scope of Work RO, MK, BG, SCG Investors/Donors: 20+ Studios Visited: Capacity 2.Education 3.Film Financing. Early warning Early action Early recovery: the Community Early Recovery Voucher CERVO Ulrich Hess, Chief Risk Reduction & Disaster Mitigation, WFP Niels. 1 Banking Services for Everyone? Barriers to Bank Access and Use Around the World Thorsten Beck Asli Demirgüç-Kunt Maria Soledad Martinez Peria The World. IFC 2009 Creating Opportunity. 2 Our Vision That people should have the opportunity to escape poverty and improve their lives We foster sustainable economic. 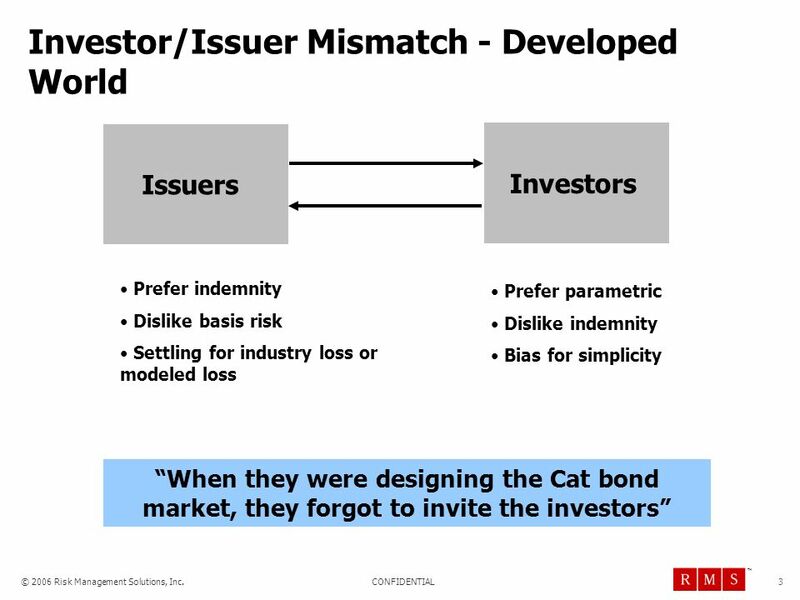 Professional Risk Opinion Securitisation & Secondary Mortgage market By Rajesh Mokashi Deputy Managing Director, CARE. Status Report: Evaluation of Private Sector Data in Minneapolis Shawn Turner Texas Transportation. 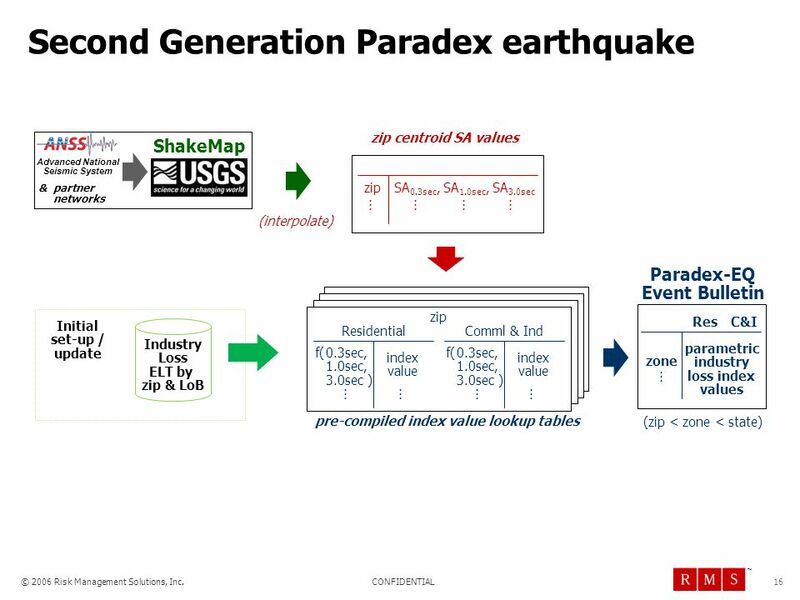 Demand Resource Operable Capacity Analysis – Assumptions for FCA 5. Climate contributes to poverty directly through actual losses in production due to climate shocks and indirectly through the responses to the threats. 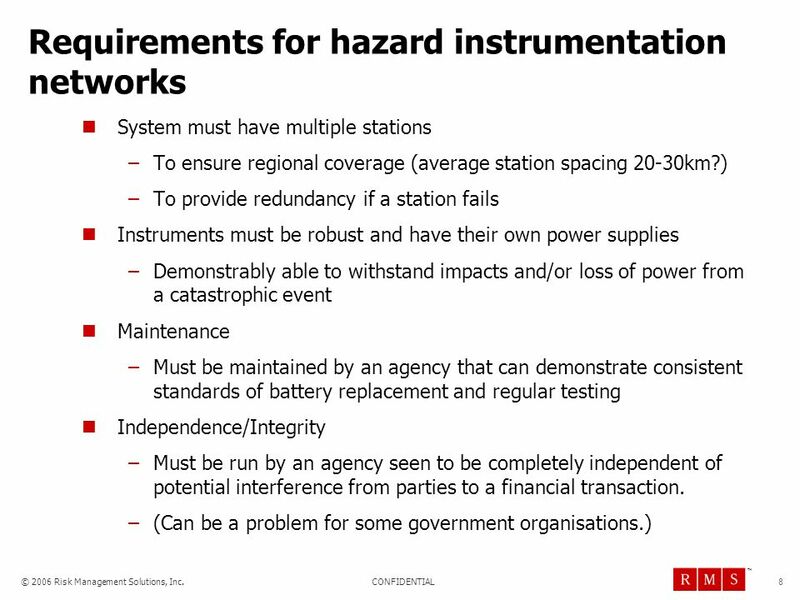 Broadband Wireless Applications for the Mining Industry. 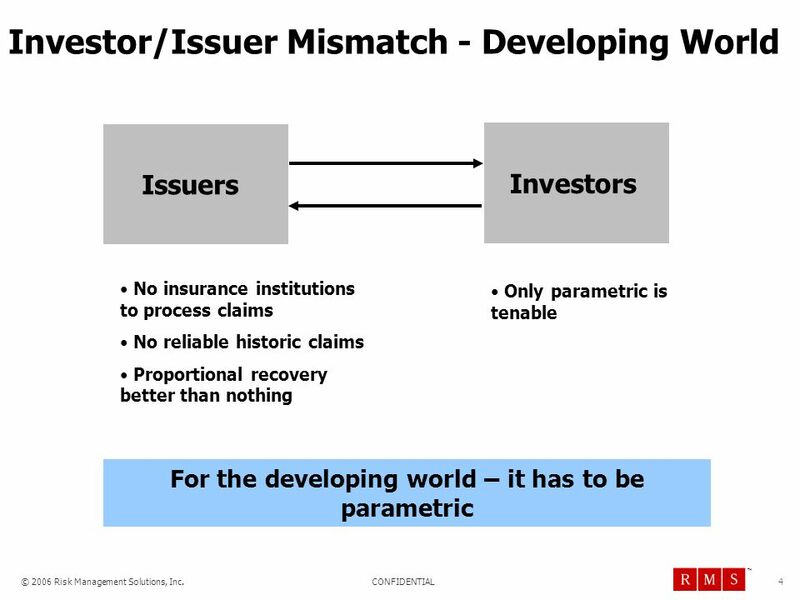 Historical Perspective on British Columbias Credit Rating Presentation to Financial Management Institute June 18, 2008. 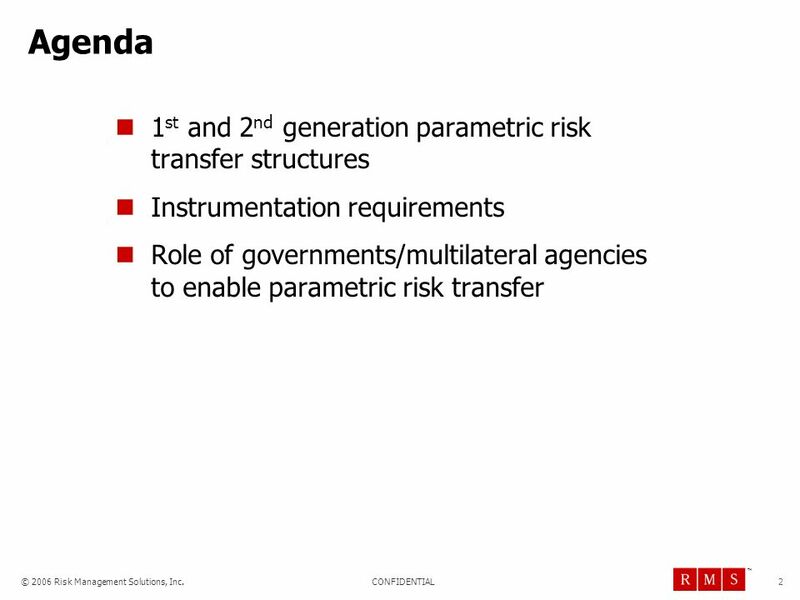 1 Improving transparency in the insurance sector: progress made and outstanding challenges OECD-ASSAL Regional Expert Seminar Montevideo, September. Symposium on Road to sustainable land administration in Africa 7 th annual African conference and Exhibition on Geospatial information, technology and. 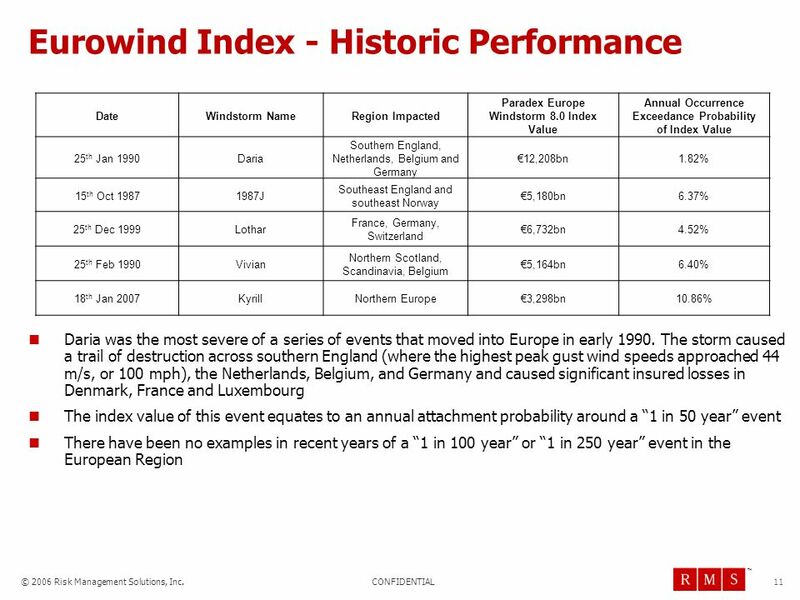 RISING AWARENESS ON NATCAT A GLOBAL UNDERWRITER’S VIEW Karachi, April 11, 2012 Andrew Brown.